I’m a firm believer that quality cannabis should captivate all of the senses, starting with the nose. 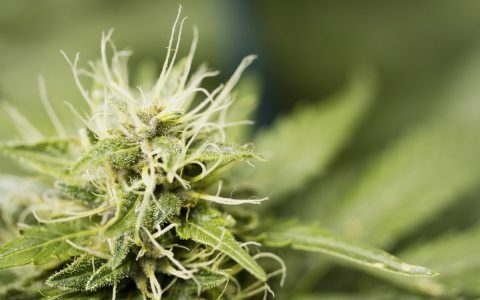 Aroma has always been an important characteristic when choosing a cannabis strain, and it’s generally the first thing that will attract you to a specific variety. 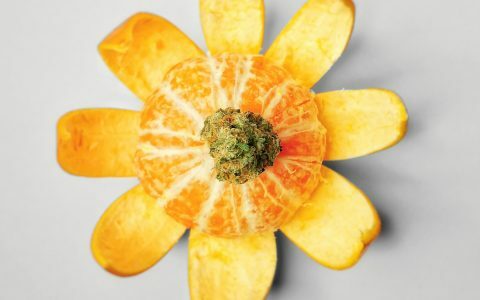 A strain’s smell is a major indicator the flower’s flavor profile and gives you some semblance of what tastes can be expected when you inhale. Most connoisseurs will tell you that cannabis should be purchased with your nose, letting the natural harmony of terpenes guide your decision. 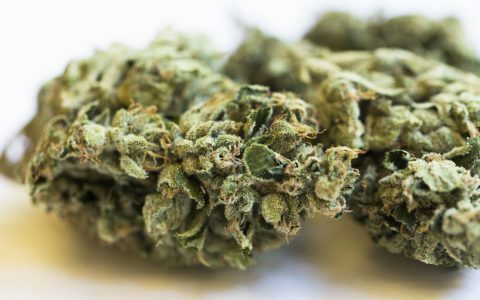 One of the flaws with state regulations requiring pre-packaged cannabis is that it removes the nose from the equation and forces you to wait until you get home to find out how pungent the purchased flower may be. 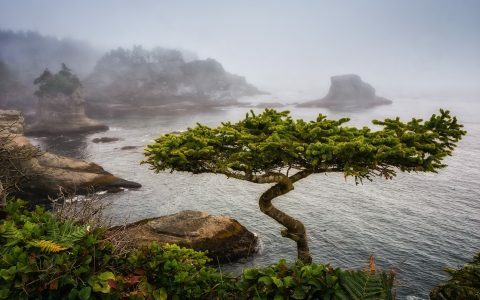 To help overcome this roadblock the legal cannabis market presents, I’ll share some of my favorite strains available in Washington that carry truly exceptional and complex aromas. 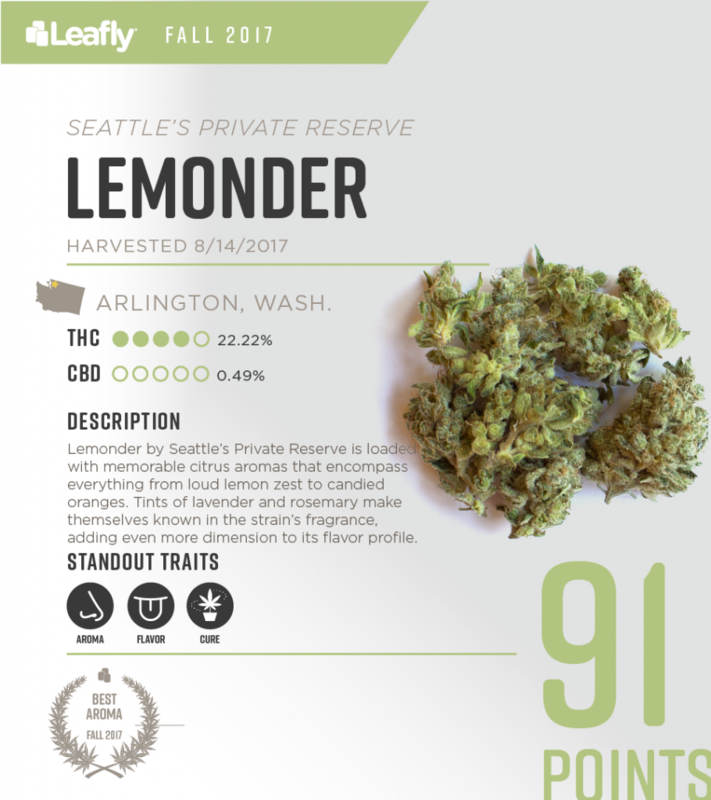 Lemonder from Seattle’s Private Reserve is a 91-point strain that was awarded the Best Aroma in Washington State using Leafly’s Cannabis Rating System. While somewhat wispy in appearance, it was the only qualifying strain that scored perfectly for its aroma. 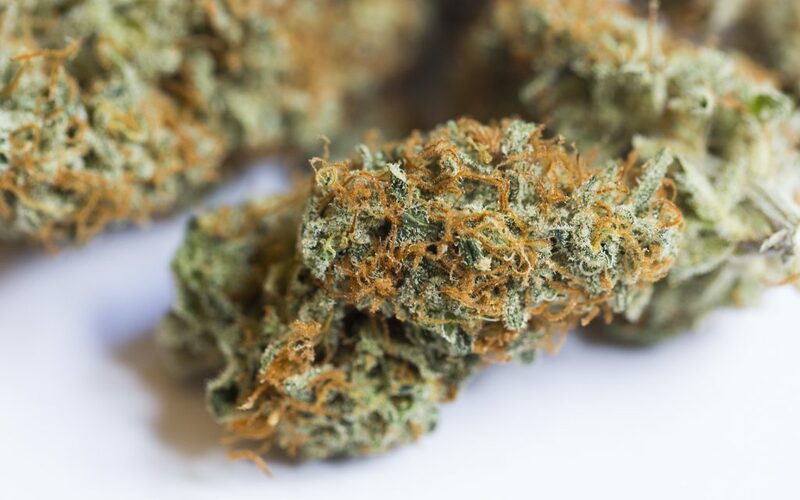 The strain is a hybrid of Super Lemon Haze, OG Kush, and Lavender, and it produces a sweet citrus aroma with the added pungent zest of fruit when ground up. Its flavor is a fruity, floral experience that reminds me of candied orange. 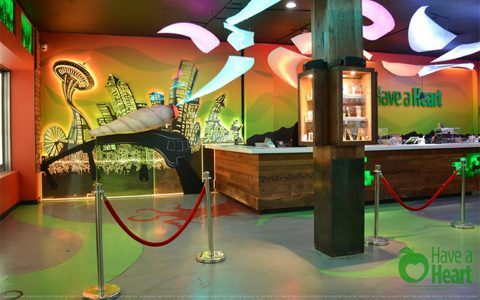 Royal Tree Gardens has a diverse mix of aromas and flavors coming from their flowering rooms. 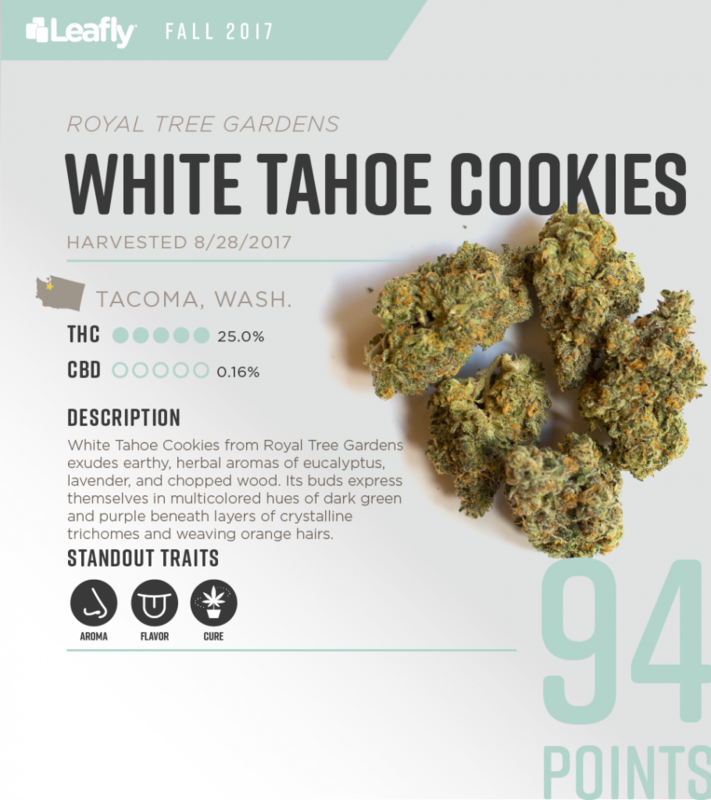 Their White Tahoe Cookies is a prime example of the quality and consistency their garden produces. 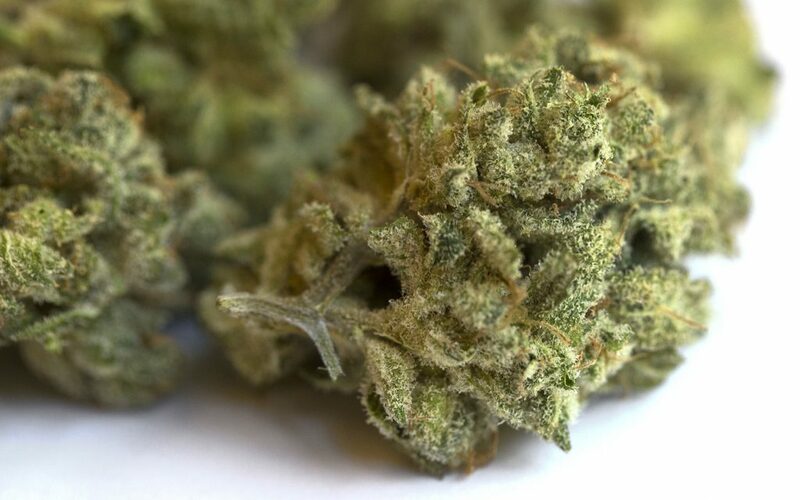 A 94-point strain overall, White Tahoe Cookies’ aroma is a compelling mix of its parent genetics, The White, Tahoe OG, and an unspecified GSC cut. 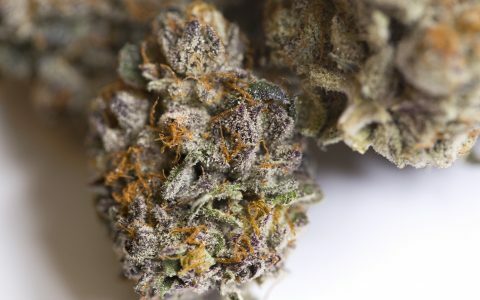 This flower has a grape and berry sweetness that blends with notes of musky mint, pine, and skunky earth to complete its enchanting bouquet. 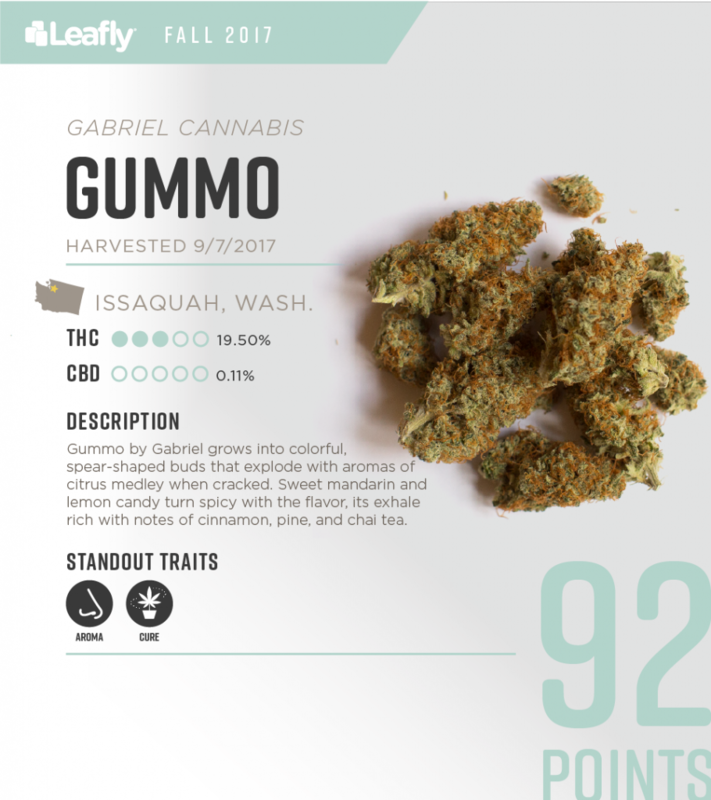 Gummo from Gabriel Cannabis is an irresistible 92-point strain that crosses the sweetness of Bubble Gum with the intricate citrus aroma of Orange Bud. The tight buds covered in fiery orange hairs emit an intense citrus sour with soft floral sweetness. The flavor follows suit with a sharper, spiced finish reminiscent of cinnamon and sandalwood. The resulting effects are immediate, heady, and introspective. Gummo grown by Gabriel Cannabis. 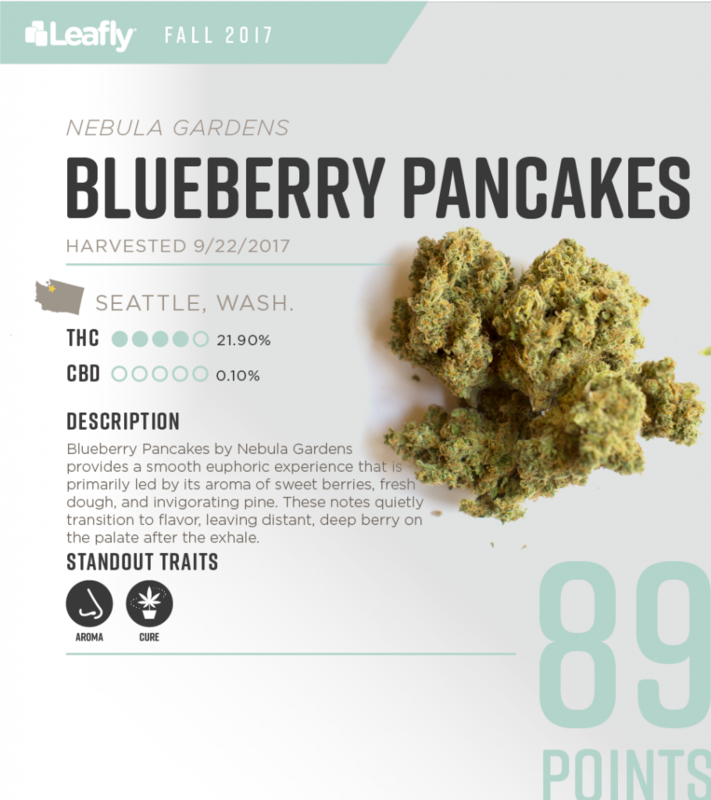 A truly amazing flower with a captivating, nuanced, and unique terpene profile, Blueberry Pancakes from Nebula Gardens really does emulate its namesake: a mix of berry notes that finish with a creamy touch of citrus, evoking memories of fresh baked muffins. Scoring 89 points overall and near perfect for its aroma, Blueberry Pancakes provides soothing effects that pair nicely with its pungent essence. 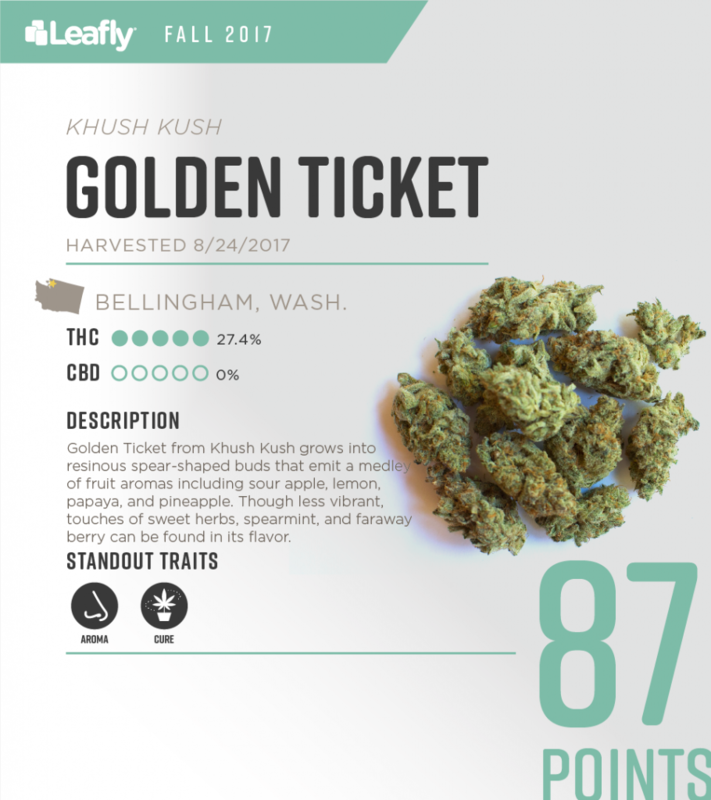 An 87-point strain overall, Golden Ticket from Khush Kush is a flower with fragrant fruity notes of citrus and subtle undertones of tropical flowers. The nuanced smells of Golden Ticket were just a couple points shy of a perfect aroma score. Its complex smell gives way to fresh pine and spearmint flavors with just a touch of sharp lime upon exhale. anything that grows better than GSC but still smells as good as it does and has the same effects gets points in my book. Would Love to try growing white tahoe cookeis. Sounds delicious. White Tahoe Cookies is soooo delicious! Definitely recommend it. Why are all of your washington reviews the same companies? 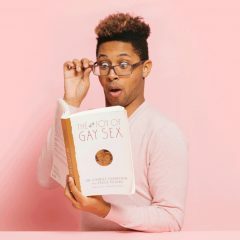 Do they pay for these reviews/ratings? There are like 1200 farms in Washington, how could you possibly try them all, and all their strains to come up with this list? Hi, appreciate the feedback! 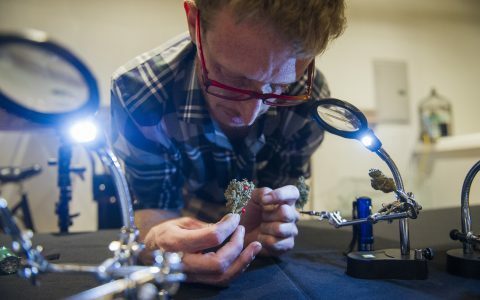 So far only a limited number of farms in Washington have submitted their strains for official ratings and reviews. We look forward to highlighting more and more of the amazing farms in Washington and other legal states as we receive their submissions. 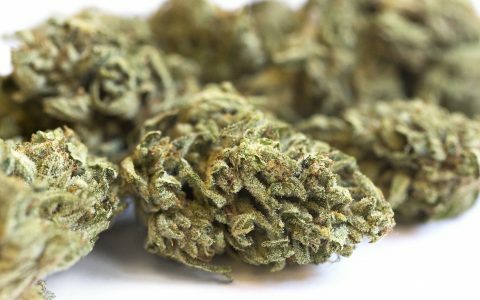 If you have any that you are particularly fond of let us know and we’ll do some outreach to make sure they are submitting their strains for official ratings and our “Best Of” series. so where do I submit one, I grew a couple strains that have gsc in it I would like to submit, and some that I made to grow next year I also would like to submit. Do you require the lab testing before submitting? 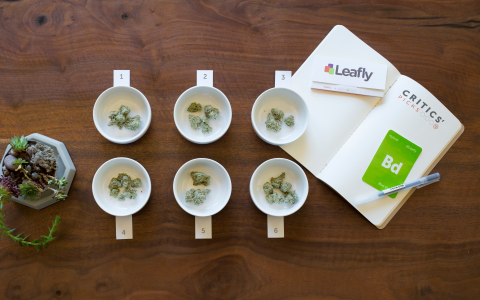 We would love to give your strains an official rating! Thanks for asking. 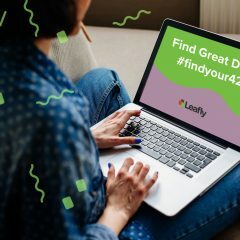 You can email cannabisratings@leafly.com to submit your strains. Yes, third-party lab testing is required before receiving any submissions. Feel free to include any other questions in your email. 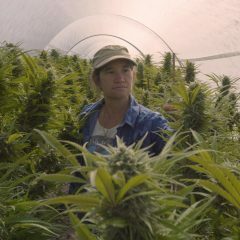 There is an old guy in Western MA who is growing some of the best weed in the States. 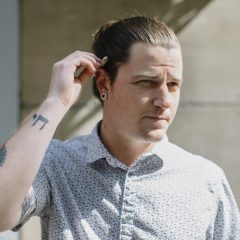 Too bad you concentrate on the west coast, you guys are being left behind by some old hippie selling for half the price or even giving it away.